...and a little burnt out. Time to vacate for a spell. I hope yesterday's Posies entry can tide you over for a bit. Check back in about a week. Feel free to dig into the archives and please visit the many fine music dispensaries on my blogroll. Ciao, and as always, thanks. A gracious deed it would be for a dedicated Posies fan to go to the trouble of compiling a CD’s worth of radio sessions, and live sets culled from FM and TV broadcasts by Bellingham, WA’s finest, but up that generosity to seven disks and said curator’s devotion is nothing less than a sheer labor of love. Such an assemblage came to pass in the mid ‘00s, but if you hadn’t caught the bit torrent bug by then, or were otherwise not well connected you likely missed the boat. Fortunately, I’m going to do the next best thing to turning back the hands of time. 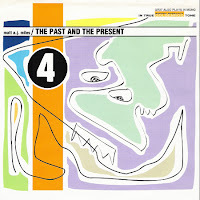 Spanning 1989-2001 (with a heavy concentration on the periods surrounding Frosting on the Beater and Amazing Disgrace) and boasting 140 songs between its seven volumes, The Posies Broadcasts series is as exhaustive, and carefully assembled collection of live Posies tracks from a cornucopia of sources, unavailable elsewhere, including the At Least, At Last box set. Granted, between those 140 tracks, that really boils down to about 30-40 individual titles, but absorbed in moderate doses this trove of John Auer’s and Ken Stringfellow’s blissed out pop grandeur is a thing of a immense beauty. 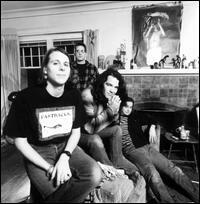 The Posies proper studio albums are totally revered, as well they should be, but onstage or ensconced in the auspices of a cramped radio studio, these guys seemingly never had an “off” night. A few minor flubs here and there, but nothing to detract from the band’s strenuous quality control in terms of songwriting and agile melody weaving. I’m not letting the floodgates open all at once, rather I’m initially going to ease you into the Broadcasts via the first two volumes, with the rest to follow throughout this spring. I’ve included basic source info amidst the tracklists below, but more details are provided in the info files in each folder. Enjoy. 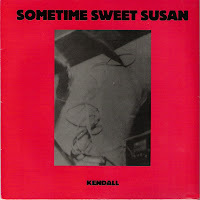 In the above title I note that this record is a Slumberland Records product, but technically this split single was released on an offshoot of the label, dubbed, I Wish I Was a Slumberland Record. And the point was? Truthfully I don't know why this wasn't designated as a proper Slumberland release, except perhaps that it was initially designed as a tour single (got mine through mailorder, so go figure). 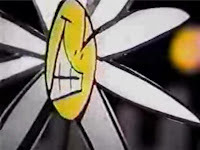 As for the music in question, Wetherby, England's highly prolific Boyracer, an inescapable indie-rawk fixture throughout much of the '90s, were of little significance to this set of ears. Despite my indifference at the time I have to give it up to them for their side of the coin, "One Step Forward," a distortion-laden slack attack with a chunky hook delivered with plenty of cranky persuasion. Ultimately, it was The Ropers who really lured me to this wax. I previously shared another Ropers split single (w/ The Tribbles), and even after discovering these abettors of chiming indie pop nearly two decades ago, I'm still captivated by their brief catalog. 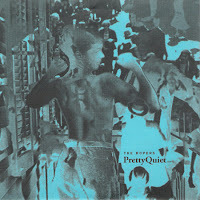 So far as I can tell, "Pretty Quiet" is exclusive to this release, a bit fuzzier and flange-heavy than even some of those great early singles they did for Slumberland in the early '90s, and definitely rawer than the relatively polished All the Time full length. On their 1981 platter, No Sign of Intelligent Life, The Visitors are so decade-centric they literally invite us to "Enter the Eighties." And even though these Bay Area bad boys play music that's more quintessential of their era than actually essential, there is sort of a rush to that introductory number, which flirts with some mighty tasty power pop and wave maneuvers. 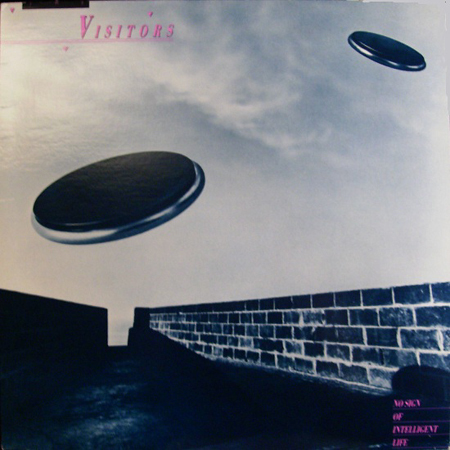 Not sophisticated or frilly enough for the new romantic set, and way too innocuous for Reagan-era punks, The Visitors settle on a basic modern rock formula with mainstream leanings, albeit a little too jovial and goofy for their own good at times. With such a ubiquitous moniker, finding any pertinent biographical info on this bunch is a considerable challenge, but last.fm purports ...Intelligent Life to be the Visitors lone recorded offering. 06. How Do People Fall in Love? 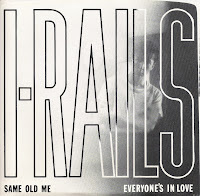 The I-Rails may be virtual unknowns to most of you, but the band who would eventually succeed them by the early '90s, Primitive Radio Gods, made a splash with the sample-heavy, alterna-pop hit "Standing Outside a Broken Phone Booth With Money in My Hand." 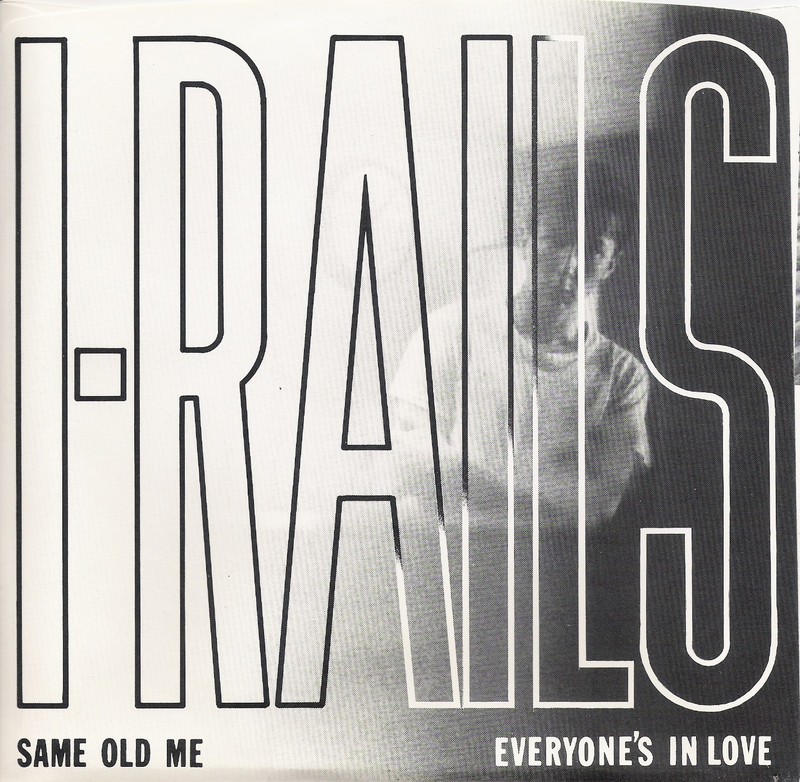 An appreciation for that loopy nugget isn't of any consequence when it comes to investigating frontman Chris O'Conners previous endeavor, the southern Cali based I-Rails, who traversed a far more linear path. Alongside this stunning 45, which I'll comment on in a moment, the band was responsible for four albums (all cassette only from what I understand) with the final entry, Panharmonium arriving in 1990. The I-Rails, particularly in their later years suggested the strain of power pop the Gin Blossoms would soon be serving to the masses, which while fairly conventional was far from a bad thing. O'Conner's soaring pipes color "Same Old Me" with an ambitious flair, encroaching into Bono territory at times, but it's the doubly impressive b-side, "Everyone's In Love" that's the true keeper, evoking the punchy ebb and flow of latter-era Replacements and Dramarama. I will be sharing the I-Rails' Panharmonium tape in the near future, but if anyone out there can help me out with the three preceding albums don't be a stranger. A very special thanks to Chris for hooking me up with an original copy of this wax. The 1988 Bones + Flowers album from Sydney, Australia Screaming Tribesman turned out to be one of my best posthumous finds in recent years. I had heard of the Tribesman spoken of during the past couple of decades but never thought to investigate them until a cassette of the aforementioned LP fell into my hands. Starting life out as a competent garage-rock troupe, loosley in the vein of their countrymen the Lime Spiders and Exploding White Mice, the Tribesmen hinted at some commerical potential, which was all but fulfilled by the time they had worked their way up to this ep, which largely served as a sampler for Bones + Flowers. Though I don't recall it getting a shred of airplay, "I've Got a Feeling" edged it's way into the US modern rock top-10, and even topped the KROQ chart for a week or two. 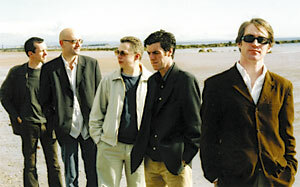 Moreover, they were a mini phenomenom down under, where they tore up the indie charts for several years. 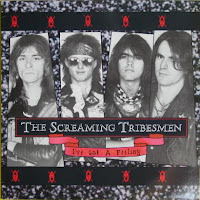 As it's been noted on Sons of the Dolls blog (which by the way is hosting a bevy of vinatge S/T wax), the Tribesmen resembled a more muscular Let's Active, at least during their late '80s tenure. With some considerable roster shakeups, the band forged ahead into the '90s, albeit more intermittently. That Striped Sunlight Sound recently shared the band's very scarce debut ep. Update: Bones + Flowers has been reissued on Grown Up Wrong Records, which you'll find here. Well, as so often is the case with bands that expired before the '90s kicked in full-bore, I don't have much to offer on this Philly quintet who played polished, collegiate guitar-pop that would slot perfectly between the Miracle Legion and Crowded House. In fact, there just might be something here for Smithereens fans too, not to mention aficionados of Arista-era Dreams So Real. Beat Clinic weren't a particularly innovative lot, though ...same bed... boasts a trove of memorable selections including "Brenda On the Big Bed," "Just Around the Corner," and "China Doll." 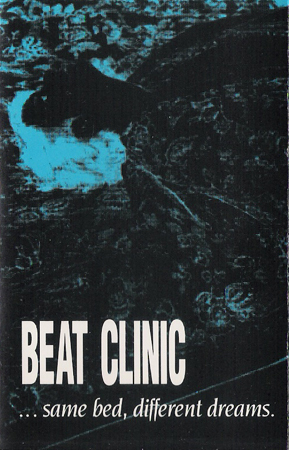 This rip was taken from an original cassette copy, although ...same bed... does exist digitally, as does Beat Clinic's debut, No Time to Walk. A little under twenty-four hours ago I concluded watching a live performance in Rochester, NY, by the Trashcan Sinatras, one of my favorite "fringe" Britpop bands. Although I've been a dedicated fan for two decades it was my first encounter seeing them in the flesh, and while their stage presence was less than gripping they delivered a flawless set. The Sinatras are touring in support of the recently issued live acoustic Brel disk, which follows up their fifth studio LP, In the Music. I don't have last nights performance to share (at least not yet) so instead I'm treating you to a more than representative TCS concert from 2005, which not only boasts soundboard quality but an excellent cross section of their catalog, including all the early '90s classics like "Hayfever" and "Obscurity Knocks." Enjoy (or not). BTW, several more recent live shows are available straight from the band's website. 02. How Can I Apply? SXSW season is upon us again, and one UK buzz band that I'm sure is drawing significant flocks in Austin is Yuck. Released just one month ago, the band's debut has garnered a lot of "throw back" accusations, with some quick to assimilate them with such vintage SST Records stablemates as Dinosaur Jr. and Sonic Youth. Lazy, but semi-accurate comparisons. Having absorbed that album many times in recent weeks, I believe some more obvious inspirations point to Pavement, Seafood, and Catholic Education-era Teenage Fanclub. Yucks most charismatic entries, particularly "The Wall," "Georgia" and the tuggingly bittersweet "Get Away," appear in it's first half, before things gradually start to unravel by album's end into a slow, albeit tolerable malaise. Nonetheless I was interested in hearing some of the Yuck's pre-album demos that made them such a hot commodity to begin with. Among these six songs, I can only confirm that "Georgia," "Sunday," and "Suicide Policeman" are bona fide demos. 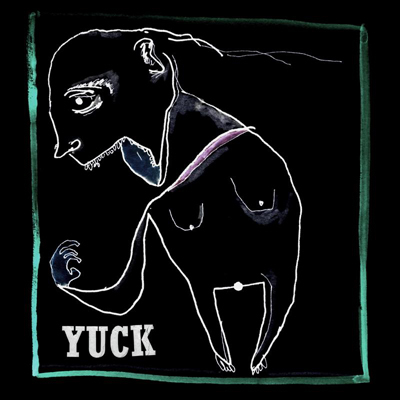 The three songs preceding them (possibly derived from singles) depict Yuck in a much less hazy light. "Weakend" and "Daughter" are downright lucid in fact, subscribing to the same austere formula Band of Horses took to the bank. At any rate, whether you've heard the album or not, make of these what you will. 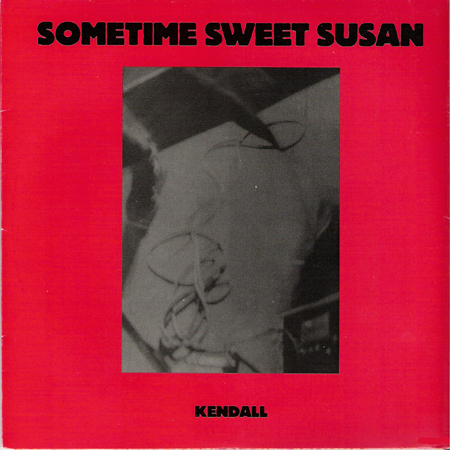 Milwaukee's long departed Sometime Sweet Susan weren't shy about pushing their collective distortion pedals to the metal, so to speak. A sinewy amalgamation of quasi dream-pop and the kind of distortion-ridden sprawl Sonic Youth were wont to lay out circa 1990, SSS left a rather indifferent public with two eps, and just as many albums before dissolving into the ether by the mid-90s. Nearly three years ago I shared the group's Fuse long-player and Point ep, their two most representative recordings. 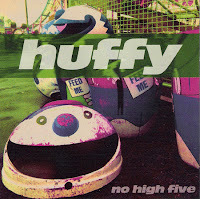 This single features "Kendall" from the ep, along with the slow-burning non-LP flipside "Tilt-a-Whirl." 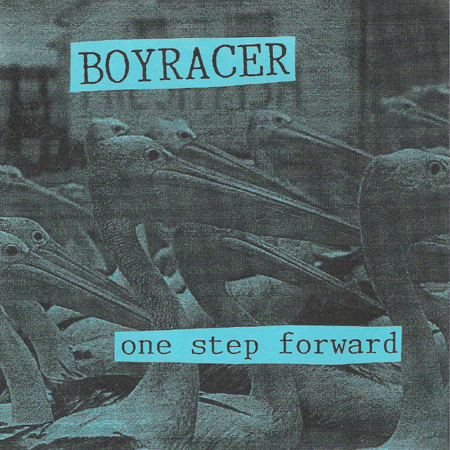 That latter track firmly subscribes to dissonant, quiet/loud/quiet aesthetics, mildly hinting at Slint and Rodan. I apologize in advance for the annoying vinyl static. Ignore the misleading name: New Haven, Connecticut's Bleached Black offers a unique brand of keen-edged power/punk pop. Hard and driving, yet sublimely melodic, the trio intermingles unusual influences (Buzzcocks and R.E.M., to name two), enhanced by the dual vocal attack of guitarist Stevo and bassist Greg Prior. The indie-land debut, Wrist-Slashing Romance, suffers as a result of poor recording. However, what it lacks in production it makes up for with first-class songs. "Prey for Me," "I Can't Be Happy" and the raging instrumental "Chainsmoking with Nigel" are absolutely outstanding. That Hope were a rather crooked, post punk-nik quartet presumably hailing from Bloomington, IN, but it's hard to believe they were even from the same planet as John Cougar Mellencamp, let alone the same region of the country. Eight Dollar Hat is hard a one to generalize, but throughout it's ten off-kilter cuts you are bound to detect trace elements of Pere Ubu, Gang of Four, Pil, and China Shop. The album's more tuneful forays, like "Power of Speech," "Move By Me," and "John's Got the Goods," give it some genuinely strong staying power. If you get the notion to, you can download a That Hope song that doesn't appear on this disk over at I Remember Dayton blog. Here are two highly promising eps from a Massachusetts quartet that failed to survive past the '80s. Fireworks is filled with ebullient, spunky riff-pop along the lines of the first couple of Joe Jackson albums. Well written and well executed, this is a model example of what power pop acts of Chain Link Fence's era should have been striving for (and luckily, many succeeded at doing just that). 1986's Positive ep carries with it quite a bit of development - more assured playing, sassier attitude, and increasingly sophisticated songwriting chops. More rhythmically aware than the first record as well. I swear there are some horns and sax on here, but the credits don't make mention of them (maybe it's the keyboards)? For purely trivial reasons, I'll inform you that frontman Billy Barrett is the older brother of Mighty Mighty Bosstones Dickie Barrett. Also, copies of Fireworks might still be available here. 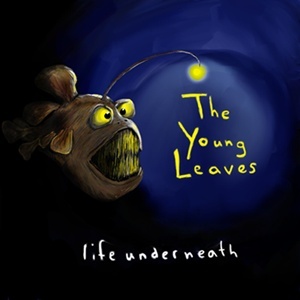 Massachusetts indie-punk trio The Young Leaves seem to be carrying the torch of another likeminded trio from the same state, the utterly feferocious Moving Targets. The Leaves second CD, Life Underneath offers a cavalcade of thick chugging riffs, a pulverizing rhythm section, and a throaty mouthpiece in Chris Chaisson who binds these rather raucous elements together with some poignantly tuneful (and LOUD) verbiage. Along with the aforementioned Moving Targets, you might find the Leaves feeding from the same distortion-ridden trough as Husker Du, Samiam, and Overwhelming Colorfast. Life Underneath is as consistently satisfying as you could expect from a group that can boast such influences, and although it's ten songs are cut from the same rugged cloth, there are subtle nuances among them all. You can experience some tunes for yourself by clicking the Bandcamp link below, and if you enjoy what you hear, please patronize the Young Leaves while you're on Bandcamp or Big Cartel. I never thought that a search for New York's Giant Mums would yield much on Ebay, but low and behold I found this 1991 demo tape, engineered by the one and only Wharton Tiers no less. Last October I heaped praise on their Eyedropper 7." At the time I remarked about the Mum's resemblance to Dinosaur Jr. Though you wouldn't know it from the vocals, the instrumental quotient of this trio sounds like they had been groomed on a steady diet of Green Mind prior to tracking these six songs to tape - that and maybe a little Buffalo Tom. The Mum's also released a full length in 1994 that I'm getting closer and closer to buying. The Findells - The Radiators Are Bleeding Restored!! One of our kind readers was generous enough to take it upon himself to restore the rather surface-noise prone rip of the Findells album that I shared a couple weeks ago with some top notch software! Played the whole thing back today and it sounds immesuarbly improved. The link is below, and the Rapidhsare link from the original post has been replaced as well. Enjoy. Recently had a request for this one. Since this is apparently still available from the label (Metoo! Records) I'm only going to be sharing this for ONE WEEK. Three years ago I dedicated an entry to their superlative "Anything Goes" 7" on Ringing Ear Records, which is what prompted me to buy No High Five virtually as soon as it was released. Boasting the sonic aptitude and overall aesthetic of the Doughboys, Dinosaur Jr, early Buffalo Tom and Husker Du, Huffy also had a singular frontman in Tim Lauben, whose pipes went a long way in defining the trio's sound. 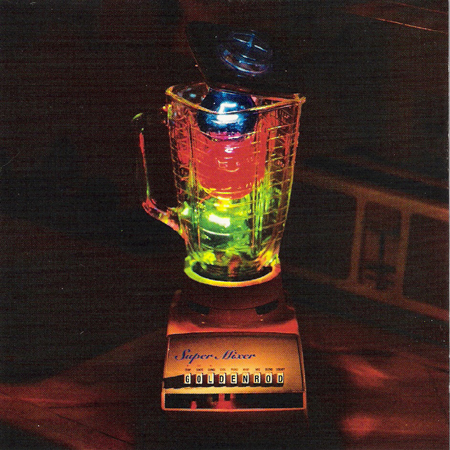 Spirited and heartfelt, No High Five is indie rock manna from the bright blue skies. If you like what you hear please click on the Metoo link above and support the band! More the exception than the rule for this blog, I don't have the exact release date on this. Oh well. 4 was a side project of sorts for a phenomenal San Diego band fluf, who I dedicated an entry to (and their prime mover, "O") way back in '07. fluf drummer "Miles" comprises one third of 4's lineup, and although "O" (Otis Barthoulameu) didn't play on this snappy looking single, he did tweak the knobs when it was committed to tape. I don't have any vital stats on the other players, Matt and A.J. (I suppose last names would help). 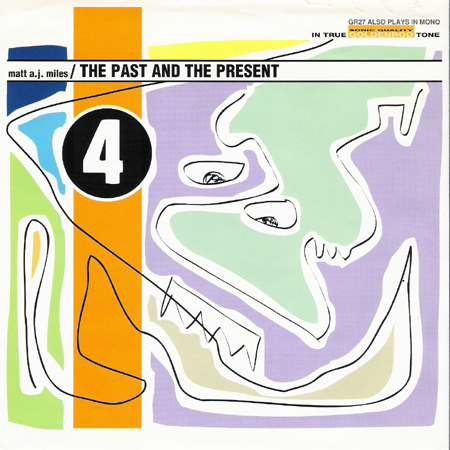 The Past and the Present's three numbers fall safely under the grunge-punk realm, particularly the b-sides (can you say Sub Pop era Tad?). The relatively melodic a-side "Adjustable," wins my vote for the most satisfying track here, but then again what do I know? I'm just a music blogger. Folks, please feel free to shed any more light on these guys. This ep comes courtesy to us from the same Flies whose Get Wise LP I shared in January. I mentioned then that they had an ep in addition to Get Wise, but I was mistaken. They actually had two eps, and this appears to be their debut release, with a slightly different band lineup but still a trio. While Get Wise was more of a more straightforward rock record, Flies is defiantly post-punk, edgy and angular (with perhaps the exception of Lori Green's relatively tender guest vocal appearance on "Fall Into Your World"). Not as accessible but still rewarding. Absolutely love the clangy chord progression that leads into "Wanna Be A Rock'n Roll Star" (not the Byrds song, sorry). Overall, this is in the same vein of Breaking Circus. In the spring of 2009, I happened upon an intriguing looking platter by a long defunct down state New York band over 20 years after the fact. The album in question was Like the Enemy and it's creators dubbed themselves Beauty Constant, but so far as I was concerned their moniker may as well have read "God's gift to indie rock." I shared my posthumous discovery with the world at large on August 25, 2009, and the response, while not overwhelming, was praiseworthy to say the least. Boasting a sonic aptitude that spanned the gamut from IRS-era REM to the Replacements, Beauty Constant's roughhewn, yet endearingly empathetic songs were as much a visceral experience to these ears as my initial encounters with the Lemonheads and Husker Du in the late '80s. On an unsuspecting Super Bowl Sunday, a reader informed me that not only was he a fellow Beauty Constant fan, he was the group's soundboard guy. Better yet, he came bearing a gift, namely an old demo cassette of seven B/C tracks including five entirely unreleased songs, and early versions of a pair of Like the Enemy's quieter moments "Second Minor One" and "It's One Life." A veritable goldmine, to me anyways, and perhaps to you if you've had the good fortune of hearing ...Enemy for yourself (the link is the first paragraph, so no excuses)! Submitted for your approval are those seven coveted songs. Typically. the volume output level for the best one of the bunch, "Reform" is lower than the rest of them, but at some point in the near future I hope to rectify that. That aside, hear the magic for yourself and enjoy! Many thanks Ross.